A SWANSEA supporter has admitted making a racist gesture towards a Newcastle United player during a game at the Liberty. Thomas Evans, aged 25, said he was drunk when he made a monkey gesture towards the unnamed Newcastle player during the Swans’ 3-0 win on December 2. Evans, from Brookfield Place in Portmead, could not explain why he had done it but when asked to describe how drunk he was on a scale of one to ten he said he would have been a seven. He said he had been drinking Strongbow for six hours before going to the game, which kicked off at 7.45pm, with his mother. 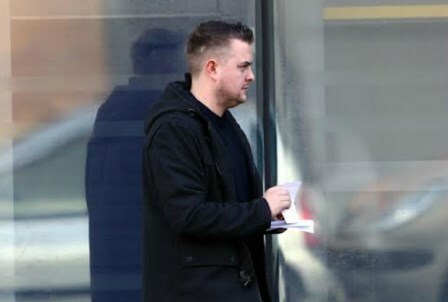 Around 15 minutes into the second half he saw a forceful tackle made by a Newcastle player against a Swans striker and Evans responded by making a monkey gesture with his arms and body, prosecutor Andrew Smith told city magistrates. A steward saw and called for assistance before approaching Evans. Evans originally thought he was being spoken to for celebrating the following goal too wildly. After being cautioned by police Evans said: “I know I have done wrong” but said the tackle almost “snapped” the Swans player. He said the gesture “came into his head” because he had seen it on television. Evans told police his mother wouldn’t speak to him after the incident. Vince Williams, for Evans, said his client was “very sorry” and he knew it was a serious offence. As well as receiving a Football Banning Order, preventing him going to any regulated games, he was also fined £65. A similar incident took place at the liberty in December 2012 where a Swansea fan was arrested for alleged racist gesture towards Bassong. Campaign Worker Jason Webber shared his views on the incident, “Unfortunately racism has surfaced again in South Wales. These incidents continue to further highlight how important it is that we continue to have the support from the clubs and its players in Wales. They must continue their work in highlighting that racism does not have a place in football or society. Praise should be given to the clubs stewards in dealing with a racist incident once again in the correct manner. Hopefully this will show a strong stance by the club against any future issues from arising.